Converse is an internationally famous, pop culture shoe brand known for its celebrated Converse All Star line. Get your fix of Converse high tops, “fashionably in” sneakers, white Converse shoes for your casual look, or black shoes for that edgy vibe. 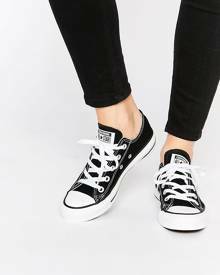 Browse now thru Stylicy’s selection of popular Converse shoes to complete your athletic chic look.